I’m one of the keynote speakers at this event in February - click here to book. This Will Be The BEST Investment you'll Ever Make. If you don't invest in yourself, No one else will! DISCOVER WHAT PASSIVE INCOME IS & CAN YOU REALLY MAKE MONEY WHILE U SLEEP? This one day conference delivers an overview on how you can build an online business from your laptop , sell products, e-books, courses and make money. No prior knowledge, experience or money required. Top tips and how to get started. 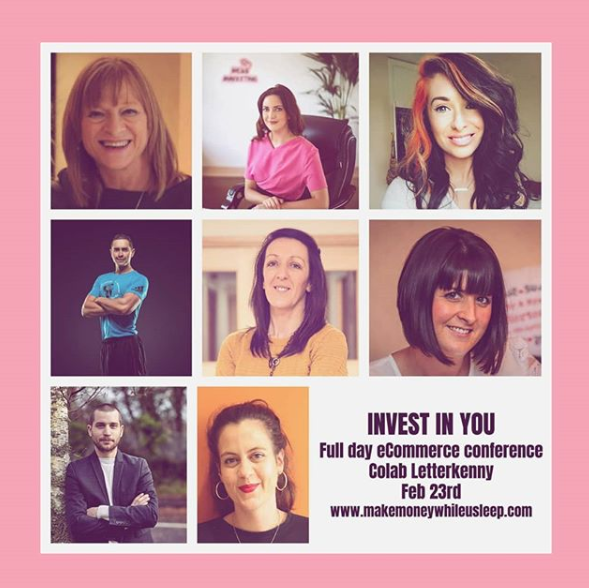 Laura Gallagher, eCommerce expert , works online from her base in Gweedore, She manages shopify stores for clients all over the world and has recently sold one of her own stores while continuing to build on her various online revenue streams. Get inspiration and tips from our panel of speakers who are already doing business online.